We are a member owned financial cooperative whose passion is serving Houston area educators. Help us recognize the outstanding work teachers do in the classroom and the impact they have on our community. We will honor at least five teachers who are dedicated to greatly improving the quality of education for students. We Love Teachers. We would not be who we are without them. 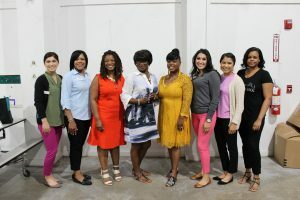 That’s why Gulf Coast Educators Federal Credit Union will recognize up to five outstanding teachers within the credit union’s field of membership which includes all school districts in Brazoria, Chambers, Fort Bend, Galveston, Harris, Liberty, Montgomery or Waller Counties, Texas. A committee of credit union employees will select from all nominations received by Monday, April 22, 2019. Nominees should be dedicated to greatly improving the quality of education for students. 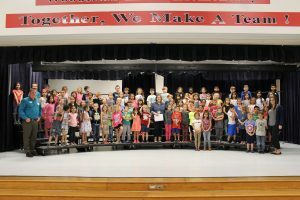 The Appreciated Teacher Award recipients will be named during Teacher Appreciation Week (May 6-10) with an award, a $100 honorarium, and a $100 donation to their school in their name. We encourage you to nominate a deserving teacher. Elizabeth Bell is a teacher at the Rhodes School for the Performing Arts. Ms. Bell has made countless impacts on her students and strives every day to give them the tools needed to excel in life. She is a leader among her peers, always encouraging and mentoring others. This instance and many more is what makes Ms. Bell a deserving appreciated teacher. She has worked with many children ranging from those with physical disabilities, to those with autism, and always strives to make sure they are treated equally. 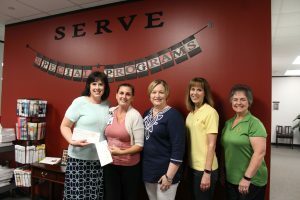 Jennifer Grant is a homebound teacher in the Special Programs department at Pearland ISD. She services many medically fragile students, ages 3 to 18 years old, who are confined to their home. These students are unable to attend school due to their medical needs, so Ms. Grant works to bring the school environment to them. Ms. Grant not only teaches her students, but their parents and caretakers as well, to show them how to extend the learning activities after she has left their home. Her bond with the children she teaches is often the only teacher they will see while earning their education. This school year, Ms. Grant had a student that was diagnosed with terminal brain cancer. Upon finding out about his diagnosis, the student set a goal: to graduate high school. This wouldn’t have been possible without the help of Ms. Grant. Together they overcame many obstacles due to the student’s declining health. Ms. Grant quickly adapted the already modified assignments so that he could complete the coursework and obtain his high school diploma. Upon completion of his coursework, and with the help of district administration, she planned a graduation ceremony for the student. On March 29, her student was able to graduate and earned his high school diploma. Dr. Noemi Celerina Dimaliwat is a STEM science teacher at Alief Early College High School in Alief ISD. She started the district’s first robotics club and has lead them to compete nationally. When Dr. Dimaliwat started Alief ISD’s first robotics club, the district did not have enough funds to fully support her initiative. However, Dr. D (as her students refer to her) was relentless and applied for funds and grants from engineering companies all over the greater Houston area to sponsor their team. At the end of their first year, the robotics team placed 2nd against 36 veteran teams in the regional competition, and qualified for the state competition. 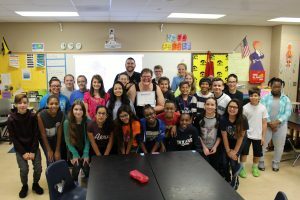 Laura Teatsworth has been an elementary science teacher for 30 years, and is currently the robotics coach at Barber Middle School in Dickinson ISD. Every year she organizes the school spelling bee, and has coordinated two reading programs, Read to Succeed and Waves of Pages. Ms. Teatsworth is also very involved in her community, as she was the building steward for the Houston Federation of Teachers, she serves as HOA president and formed the League City HOA Alliance, she is a Charter Review Committee member, and she also serves as the youth director for handbells at her church. Ms. Teatsworth has spent 20+ years as an American Red Cross instructor. One year, she taught over 200 5th graders CPR. As a result, one of her students was able to save her grandmother’s life by using the instruction that she learned. The student invited Ms. Teatsworth to the ARC with her to receive her purple heart. Ms. Teatsworth also personally performed CPR on a cafeteria worker who collapsed in the school hallway, ultimately saving her life as well. 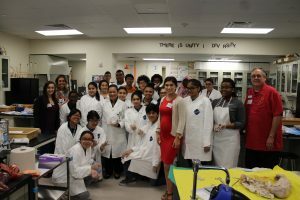 Along with teaching students herself, Ms. Teatsworth has also organized visits from many guest speakers, including NASA’s Fred Haise and Apollo 13’s Gene Kranz, as well as other CEOs, such as Compusolution X, who is contributing two advanced laptops to the two students with the highest academic performance for the year. Benji Adams is a teacher at Woodland Hills Elementary in Humble ISD. She is not only a teacher, but a cheerleader for her students as well. When her students are struggling, she doesn’t hesitate to come in early before school for tutoring. When she knew that one her students’ confidence was shrinking, Ms. Adams showed up to her soccer game to cheer her on. Kim Calderon, a parent of three Woodland Hills students, was lucky enough to have two of her children have Ms. Adams as their teacher. Mrs. Calderon recalled how one of her daughters was speech delayed, which caused her to struggle in all areas of school. So much so, that they thought she may have to repeat a grade. With the help of Ms. Adams, her daughter was able to catch up and gain the confidence she needed to finish. “She celebrated her victories. She pushed through with her on her struggles. She made sure that my daughter felt like she mattered when she was losing all self-confidence,” said Mrs. Calderon. Jon Pillow is a government teacher and the head boys’ basketball coach at Pasadena High School in Pasadena ISD. Along with being a teacher and a coach, Mr. Pillow also serves as the treasurer for the Houston Area Basketball Coaches Association board. Mr. Pillow has made many enormous contributions to his community and his students. 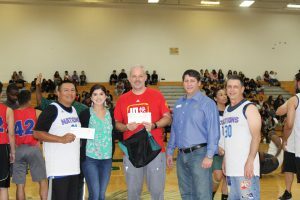 He organized an annual basketball tournament to honor a student of his that passed away. This tournament raises money to supply a scholarship to a deserving student each year. For the past four years, Mr. Pillow has organized a community service event known as “Hoops for Hope,” which is a wheel chair basketball game. This purpose of this game is to raise funds for the TIRR Memorial Jr. Hotwheels Basketball Team so that they may purchase much needed equipment. Mr. Pillow has also organized Basketball Bonanza Weekend, Read to Achieve, and a Buddy Basketball Program. Along with being named a recipient of GCEFCU’s Appreciated Teacher award, Mr. Pillow is also a two time Coach of the Year, a two time winner of the Who’s Who of America’s Teachers award, and a current finalist for Pasadena High School’s 2018 Teacher of the Year. Congratulations to our winners! Visit back as we spotlight each recipient and the wonderful work they have done for their students and community. 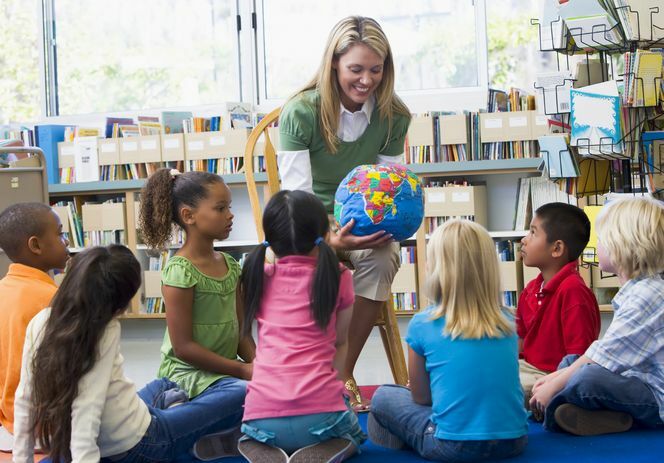 That’s why Gulf Coast Educators Federal Credit Union will recognize up to five outstanding teachers within the credit union’s field of membership which includes all school districts in Brazoria, Chambers, Fort Bend, Galveston, Harris, Liberty, Montgomery or Waller Counties, Texas. A committee of credit union employees will select from all nominations received by Monday, April 23, 2018. Nominees should be dedicated to greatly improving the quality of education for students. The Appreciated Teacher Award recipients will be named during Teacher Appreciation Week (May 7-11) with an award, a $100 honorarium, and a $100 donation to their school in their name. Lana Burns is a government teacher at Cypress Ranch High School in Cypress Fairbanks ISD. Teaching government to teenagers is not an easy task, but Ms. Burns strives to make every student a confident and competent citizen that will truly make our world a better place. She brings even the most difficult topics of government to life for each person, actively applying her knowledge of the law and how government works. Ms. Burns has her students investigate and discuss real cases with professional guest speakers. She has had various lawyers, S.W.A.T. officers, and mock trial college students perform and speak to her class. Ms. Burns even registered to be a Harris County Voter Registrar, so that she could make sure her students turning 18 wouldn’t miss getting the chance to vote. Ms. Burns was recognized by the State Bar of Texas as an outstanding teacher of the law. 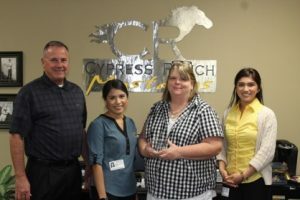 Previously, at Cy Fair High School, she was recognized as their Spotlight Teacher. Ms. Burns does not work for the accolades, she teaches because she loves what she does and because she is passionate about all areas of government and the law. 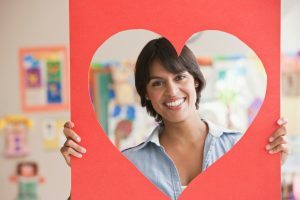 We are a credit union dedicated to serving the financial needs of school employees in the Houston, TX region (Region IV). We wanted a way to recognize the outstanding work teachers do in the classroom and the impact they have on our community. We felt the Appreciated Teacher Awards were one small way we could recognize some of the best in our area. We will honor area teachers as Appreciated Teachers. The finalists will receive an honorarium and a donation to their school in addition to the award.